Kris Reid stopped by The Blogger Cast with Rachit Singh and found the perfect time to get back to SEO basics. Knowing his core audience well, Rachit was savvy enough to set the stage and let Kris do the talking about the strongest ways to approach modern SEO. Starting from the beginning, Kris Reid goes into the story about how he found himself leading his own SEO company. Despite starting with a background in software engineering and landing a great job in London just after receiving his degree from Queensland University of Technology, Kris lost his job in the economic crisis. Soon he found himself backpacking all over the world, meeting people and seeing everything he could. Before long, he was back in Australia designing his own online game to have a little fun, keep his skills sharp, and of course make cash. However, he soon realized he had no way to get people to his site to play his game, and thus his interest in SEO was born. One of the most significant questions posed by Rachit, was the notion of how one actually sells SEO to potential customers. According to Kris Reid, “people will search their product or business name, see their ranking pretty well and think that’s all they need.” Most business owners do not have a solid understanding of SEO and how improve their business. The following are a few tips that Kris Reid discusses on Rachit’s show. No one is searching for your business specifically. Instead of thinking about how well your business is ranking, think about the problem you product or service solves. The price for design of your website does not include SEO. Quality backlinks are the best way to build authority and improve Google page ranking. SEO is all about “putting butts in seats” only the butts are wandering around looking their phones and the seats are at home. People are always online these days, but there is also a lot of competition for their attention. Quality SEO is all about anticipating what people need and making sure your business is there to help them when they come looking for it. Google’s entire mission as a search engine is to understand people. Google wants to understand them so with just a few words, they can offer a person a place in the vastness of the internet that contains exactly what each person is looking for at any given time. The task isn’t just daunting, it’s almost impossible. However, if people continue to use Google and not find what they wanted, more and more people might be inclined to use a different search engine like Bing or Yahoo. 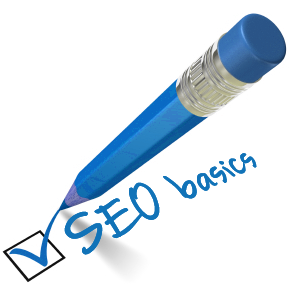 At the end of the day, SEO basics are about understanding your business in a way that makes sense to Google, so that the search engine can connect customers as completely as they possible. That is what Kris Reid and Ardor SEO strive to do every day.